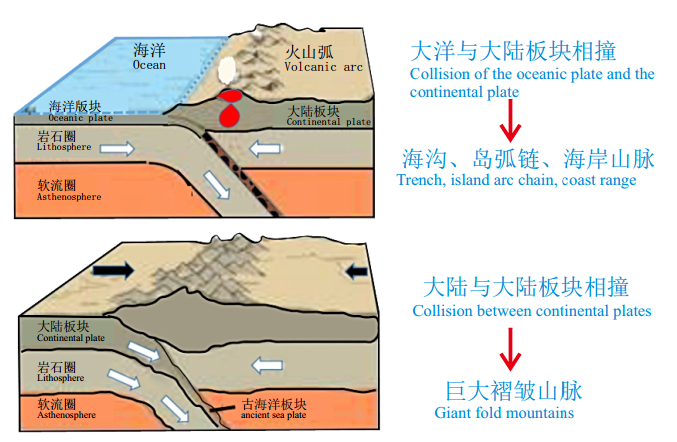 Subductionoccurs in the relative movement of two plates, and collision happens when the continentalcrust fails to dive due to the buoyancy after the disappearance of the oceaniccrust. This is plate collision. Platecollision results in earthquakes, volcanic eruption and steep mountains. 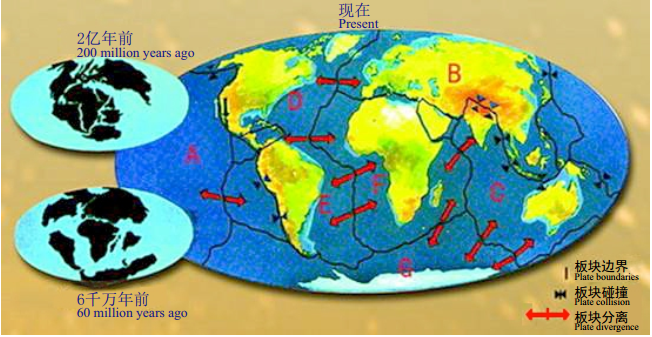 Thereare arc-arc collision, arc-continent collision and continent-continentcollision according to the properties of continental crusts on both sides. 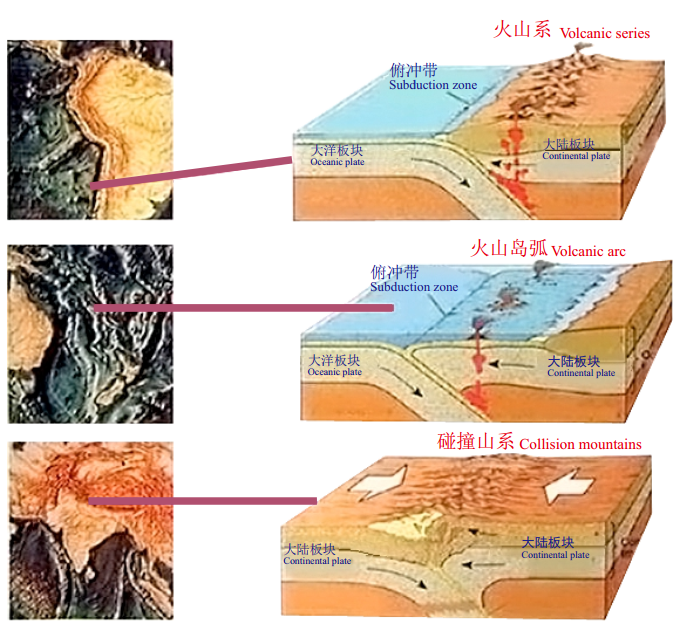 TheKuril Arc and Japan Arc are colliding along the south of Hokkaido; Mountains onthe east coast of Taiwan are the products of arc-continent collision betweenLuzon Arc and the Eurasia; And mountains in China including Qinling Mountain, DabieMountain, Kunlun Mountain and the Himalayas are all the products ofcontinentcontinent collision in different geological times.